Our eyes are obviously important assets to have. On that note, it’s important that we go the extra mile when caring for them. If you think your vision is getting blurry, you will have to invest in a good pair of eyeglasses. There’s no shame to it. Anyone can have nearsightedness and other conditions that impede their view of the world, so they will have to make the effort in securing a good pair of specs for their eyes. Before that, though, those who will be wearing eyeglasses for the first time will have to learn a thing or two about the transition to a lensed life. Here are the things you should know before you fit the right pair of glasses. 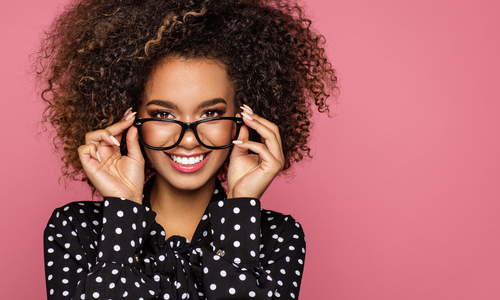 Now, when it comes to getting eyeglasses, it’s important that you know a thing or two about the science behind eyeglasses. Sure enough, optometrists don’t just make glasses out of the blue. It’s actually a very tedious process that involves a great deal of detail. For one, PD (or pupillary distance) is one such element that unassumingly passes off as an important part of fitting eyeglasses. PD is basically the distance between your left and right pupils. Now, how can such small detail make all the difference in preparing a pair of glasses? Well, this small detail can help you achieve better vision by determining the right position of the lenses. Each lens has to be centered relative to each pupil. The lenses are then shaped to give optimum results. If you are able to get your PD before your eye exam, you will be able to buy lenses straight from the manufacturers themselves or have them custom-built for a lesser cost. When you go to an optical store, you may as well be asked if you may opt for UV protection or any other add-on. The up-selling may seem effective, but it isn’t really practical to pay for things you don’t even need from the get-go. For instance, if you’re not working too long in front of a computer, the getting special lenses that reduce eye strain is not really a very good decision. That being said, you may want to get add-ons only if you need them. In this sense, you can pay for add-ons that actually improve your eyesight. For instance, if you spend time in dark rooms, then transitional lenses are an important asset to have in protecting your eyes from sudden exposure to sunlight. Other than lenses, it’s also crucial to find the perfect frames that suit the shape of your head. According to Tim Brennan Optical, finding quality designer styles involves knowing which frames work best with your face. For sure, you just can’t pick a random style and wear it immediately. It takes a lot more to find one that matches your personality. If you have a diamond-shaped head, rectangular glasses are not exactly the best things to have on your face. Opt for rounder styles that offset your contours and achieve a well-balanced look. Choosing eyeglasses can be fun and exciting, especially if you know how to stay selective and smart in your choice. Taking care of your eye health is a longterm endeavor, and you’ll be so glad that you did.